If you are looking for a reliable, cost effective solution to your home or business furniture upholstery needs, why not consider one of our sponsors? 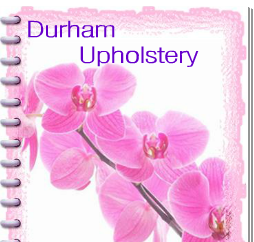 Durham Upholstery restores antiques, family heirlooms, and commercial seating in offices, stores, showrooms, and restaurants. Durham Upholstery restored our post bar by installing a padded armrest the length of the bar. They have also performed a service for some of our members. They are not only competitive, but we trust them to provide the service we expect. Click on their ad to visit their web site.